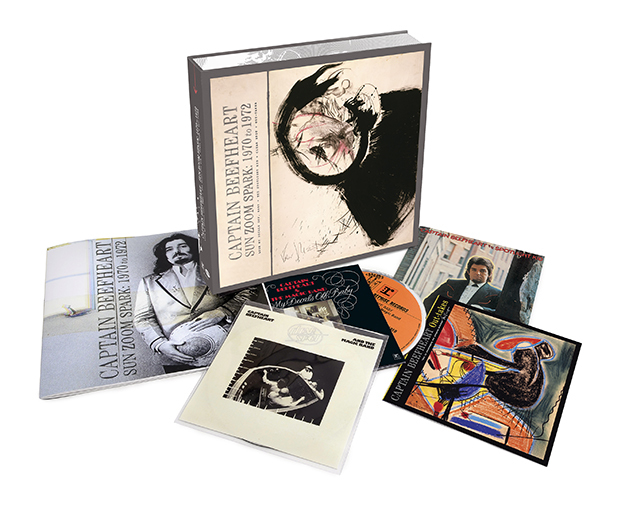 If you’re a rock aficionado of a cer-tain aesthetic, you’re supposed to like, nay, love, Captain Beefheart, reveling in his iconoclastic output, delighting in the ways he warped rock ‘n’ roll, the blues, and R&B into fantastic new shapes. Rip Rense, in Sun Zoom Spark’s liner notes, describes Beefheart’s music as being akin to “some spontaneous id eruption, something highly dangerous that seemed to slice right through time and order and science, and grab all, in an electrocuted moment of be-here-now.” It’s an apt description not only of Beefheart but of the album that’s usually held up as the pinnacle of his musical achievements in particular, Trout Mask Replica. 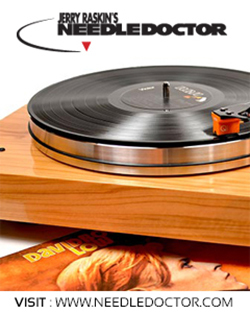 Since its release in 1969, it’s been heralded as one of the greatest albums ever, regularly landing on the “Best Of” round ups that have become so popular these days, and even getting a governmental stamp of approval when it was added to the United States National Recording Registry by the Library of Congress in 2011. 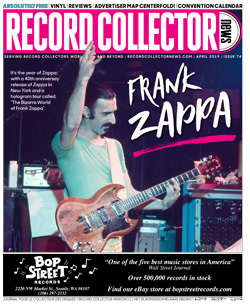 Such a legacy has to develop over time, of course, and the reactions were somewhat more muted when the album came out; Robert Christgau famously said he could only give the record a B+ rating instead of an A because of its “weirdness.” Still, what do you do for an encore? Beefheart released nine further albums before retiring from music in 1982, when he chose to focus on his painting, though there has been a fairly steady stream of reissues over the years (Beefheart died in 2010 at age 69, having battled multiple sclerosis for many years). Sun Zoom Spark zeroes in on the immediate post-Trout Mask period, specifically the albums Lick My Decals Off, Baby (1970), The Spotlight Kid and Clear Spot (both 1972) (note: 1971’s Mirror Man was released between Decals and Spotlight, but featured older recordings from 1967). 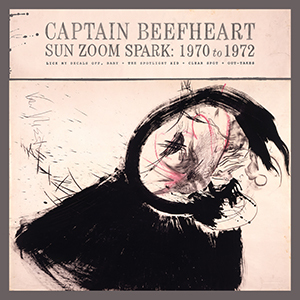 Most exciting for Beefheart collectors, Sun Zoom Spark also features an entire CD of previously unreleased tracks (a total of 14), and it marks the first time Decals has been reissued on CD since 1989 (though it’s been available on vinyl and as a download on iTunes and Amazon since 2011). It’s a period Moris Tepper, a guitarist who worked with Beefheart, refers to as “the core of his legacy,” and the three records show him moving from idiosyncrasy to something more conventional (by Beefheart standards, anyway). Decals sounds like Trout Mask Replica Part II, with an undercurrent of loopy sexiness that’s there from the get go. 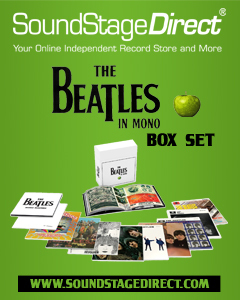 The album kicks off with the title track, which takes the Beatles’ declaration of wanting to hold your hand at its starting point and then gives it an intimate twist regarding what Beefheart would rather be doing (“She stuck out her tongue/and the fun begun!”). Yet there’s an undeniable sweetness at work too; who can resist the puckish friendliness of the statement “I Love You, Big Dummy”? But there’s a heart at work as well if you listen to the lyrics, which aren’t always soaked in surrealism; “Petrified Forest,” for example, gives a nod to ecological concerns. “Flash Gordon’s Ape” wraps it up in a suitably chaotic fashion; the song sounds as if every instrument has been let off the leash to run as free as it pleases. It’s not all so straightforward of course. The delightful “Grow Fins” opens with a blast of harmonica before Beefheart details how to recover from a breakup: employ some devolution and take up a new life under the sea. And “There Ain’t No Santa Claus on the Evenin’ Stage” is a moaning blues about the kind of hard life that offers no relief, with a few shakes of jingle bells adding an oddly discordant note. The fourth CD has cast offs from the Spotlight Kid/Clear Spot era. From the Spotlight sessions: a sweet “Harry Irene,” with a gentle vocal from Beefheart (it was later reworked for 1978’s Shiny Beast [Bat Chain Puller]), a surprisingly different “I Can’t Do This Unless I Can Do This/Seam Crooked Sam” if you’re used to the version on the 2012 Bat Chain Puller (Beefheart sings on this version, versus the spoken-word approach he took on BCP version). “Two Rips in a Haystack/Kiss Me My Love” (its title later used for a Beefheart painting) is fairly spare in contrast to some of Beefheart’s more frenetic work, with a great raspy vocal. There’s some instrumentals from these sessions as well, mostly rehearsal performances. “Pompadour Swamp” later became a song called “Suction Prints,” which appeared on Shiny Beast, while the “Pompadour Swamp” title was recycled for a completely different number that appeared on 1974’s Bluejeans and Moonbeams. It shares the same swampy musical sensibility as “The Witch Doctor Life” — which here is quite different from the final version that appeared on 1982’s Ice Cream for Crow (in contrast to the alternate version of “Alice in Blunderland,” which has a lot more similarities to the Spotlight Kid version). “Best Batch Yet” appears here in a noticeably slower version than the one that later appeared on Doc at the Radar Station, with an almost acoustic feel (despite the electric guitar). 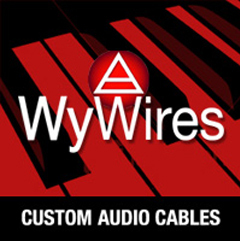 Both it and “Your Love Brought Me to Life” also have a unique interplay between guitar and marimba; “Your Love…” is also the only number here that wasn’t released in a later version. There are five outtakes from the Clear Spot sessions. Neither “Nowadays a Woman’s Gotta Hit a Man” or “Circumstances” vary much from their later versions. The bright and bouncy “Kiss Where I Kain’t” is an updated instrumental version of “Frying Pan” (“Frying Pan,” which was recorded in 1966, was finally released in 1984 on The Legendary A&M Sessions EP). Then there’s “Little Scratch.” The song was later reworked into “The Past Sure Is Tense,” which appeared on Beefheart’s Ice Cream For Crow, and is here a jammy, less streamlined version; a nice look at a song’s early gestation. There are two versions of “Dirty Blue Gene,” one recorded during the Spotlight sessions, the other during the Clear Spot sessions (the final version of the song appeared on Radar Station). The first is a sprawling, fuzzy, bluesy number, punctuated by Beefheart’s squalling harmonica. The second version is closer to its final incarnation on Radar Station, and the two versions taken together provide an intriguing look at how Beefheart would continue working on a piece of music, refining it again and again, until it matched the vision within his head. The fact that his was an especially startling vision is what keeps pulling people back to his work, in the hope that repeated listenings will one day crack the mystery that’s surely buried within Captain Beefheart’s music.